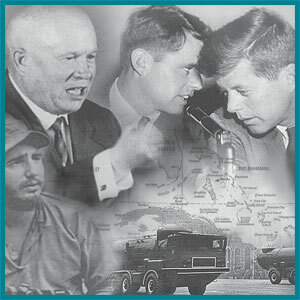 In the Choices curriculum unit, The Cuban Missile Crisis: Considering its Place in Cold War History, students explore the complex Cold War relationships between the United States, Russia, and Cuba, and examine the crisis that brought the world to the brink of nuclear war. Students simulate the discussion among President Kennedy and his advisors about how to respond to the presence of missiles in Cuba. This curriculum unit is also available as an Itextbook with enhanced graphics, embedded videos, and other interactive materials. Nuclear Armageddon is possible: as a matter of historical record – not merely hypothetical scenarios or other projections – it is now known that a catastrophic nuclear war nearly happened in October 1962. Nuclear Armageddon is possible even if no one wants it: in a crisis of this urgency, a series of conscious decisions that would seem unthinkable under normal conditions becomes likely as the pressure to attack first becomes almost too much for leaders to bear. Armageddon must be made impossible: the combination of nuclear weapons and human fallibility will eventually result in nuclear destruction if these weapons are not abolished. 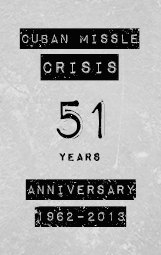 Harvard Kennedy's School Belfer Center for Science and International Affairs has created a website to commemorate the 50th anniversary of the Cuban Missile Crisis of October 1962. Co-sponsored with Foreign Policy Magazine, the Belfer Center is holding an essay competition. The top three winners will receive a 64 GB iPad or its equivalent cash value and a free subscription to Foreign Policy Magazine for one year.